Wash: It is enriched with Zinc known for its purifying properties, it helps deep clean and eliminate impurities. Scrub: It contains pumice, a natural exfoliating agent; it removes dark cells (epidermal cells only) and visibly reduces skin imperfections. Mask: Enriched with White Clay known for its absorbing properties, it makes complexion more uniform to reveal an instant glow. Water, Kaolin, Glycerin, Butylene Glycol, Corn Starch, Cl 77891, Decyl Glucoside, Polyethylene, Sodium Laureth Sulfate, Chondrus Crispus (Carrageenan), PEG-7 Glyceryl Cocoate, Benzyl Salicylate, Cl 42090, Eucalyptus Globulus Leaf Extract, Limonene, Linalool, Menthol, Phenoxyethanol, Propylene Glycol, Pumice, Salicylic Acid, Smithsonite Extract, Sodium Hydroxide, Tetrasodium EDTA, Xanthan Gum, Zinc Gluconate, Fragrance (F.I.L. B43449/1). As a Face Wash: Delicately massage on face and rinse-off. Use daily. As a Face Scrub: Massage in a circular motion and rinse-off. Use 2 to 3 times a week. As a Face Mask: Apply and let it dry for 3 minutes. Rinse with water. Use once a week. Avoid the eye area. In case of contact with eyes, rinse immediately with water. If irritation or dryness occurs, reduce frequency of use. Rs. 105 for 50 gm. It is very easily available both online and offline. Garnier White Complete 3-in-1 Fairness Facial comes in a plastic squeeze tube with a combination of twist-up and flip-top cap. The white tube apparently looks very simple, but the splashes of lemon yellow and the information printed in orange color makes it vibrant as well as attractive. 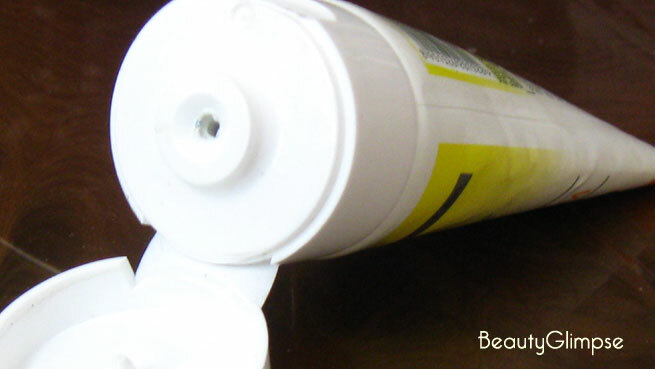 The backside of the tube comes with the demonstration of how to apply the product in 3 different ways. Being an opaque tube, we cannot understand how much product is left inside. But there is a screw cap at the opening of the tube, which allows us to take a peek inside it. The packaging is travel-friendly. In fact, you can carry only this product in your purse to serve as many as 3 purposes, which is hard to believe. The product has a thick, paste-like consistency. It looks more like a mask than a face wash or scrub. It is white in color with lots of blue micro-beads included in it for exfoliation. The strong cosmetic smell may be a real turn-off for people with sensitive nose. I personally don’t like the smell as it lingers for 4-5 minutes even after washing the face. I use it daily as a face wash, twice a week as a face scrub and whenever needed as a face mask. I moist my face with water each time and apply a coin-sized amount. As the texture of the product is thick, moistening the face slightly makes the application easier. It is always good to follow the instructions mentioned on the body of the tube. It doesn’t lather like regular face wash, but this doesn’t mean that you have to compromise with its results. While using as a face wash, my skin feels absolutely clean and fresh. As my skin is on the drier side, I feel a bit dryness and stretchiness right after cleansing. But considering the amazing result, I simply ignore it and moisturize my face immediately. As a face scrub, it helps me a lot in getting rid of my stubborn blackheads. 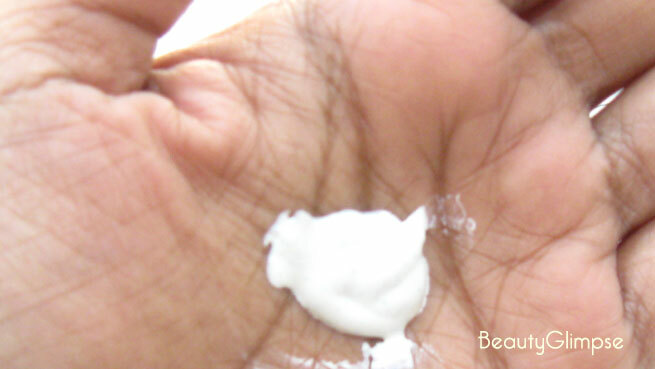 It exfoliates the skin mildly yet effectively, thereby making it completely free from oil, dirt and dead cells. I just love the way it removes daily tan and give me a smooth, bright skin. I usually use this product as a mask whenever I need to attend any party, function or special occasion. It gives an instant glow and makes the face look considerably bright. However, it doesn’t last for a long time. 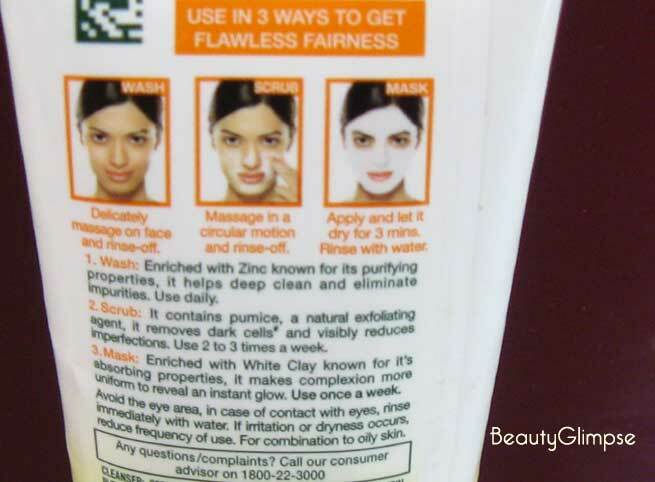 I’m not at all a fan of those fairness products available in the market. But as this product claims to make skin fairer and I’ve been using it since last 3 months now, I can say that it doesn’t do anything to the natural complexion. You can only expect a natural glow and bright-looking skin after each application and that’s all. 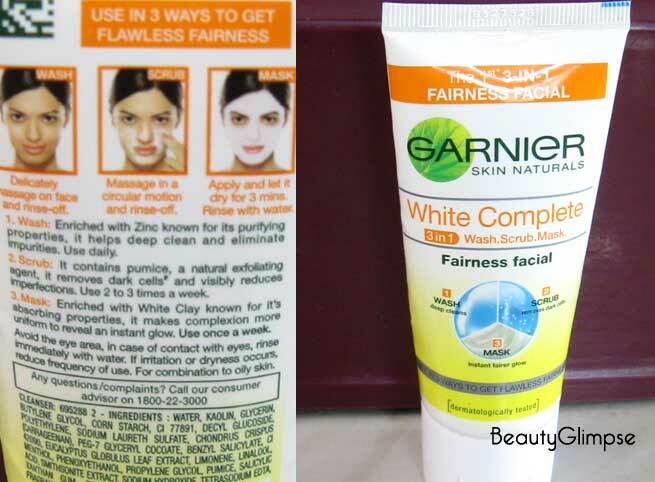 Will I Recommend Garnier White Complete 3-in-1 Fairness Facial? Yes. I’m going to buy it again as I’m quite impressed with its instant cleanup quality. For those who need to go out frequently or almost every day, this small tube of goodness will be a true bliss for you for sure.